Wind, Balloons, Waves, Sunsets, Leyna the German Shepherd and Corinne's beach house. Check out our epic adventure! Weighing in at a whopping 40kgs at only 6 months old, Hundson was a bundle of fun to photograph. 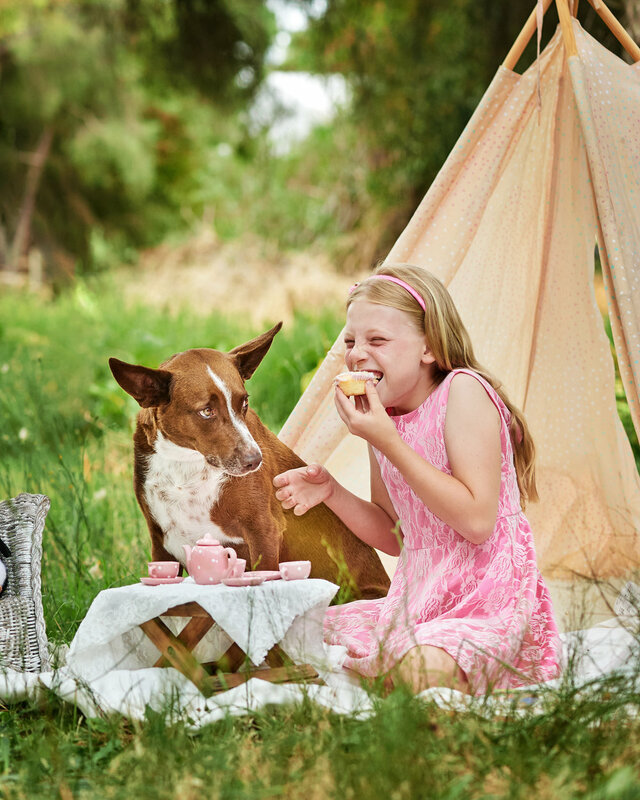 Emma and Hudson enjoy spending their weekends at car shows around Perth, so of course our old farm ute in the beautiful natural bush land setting here on our property at Four Paws Photography was a must for Emma. 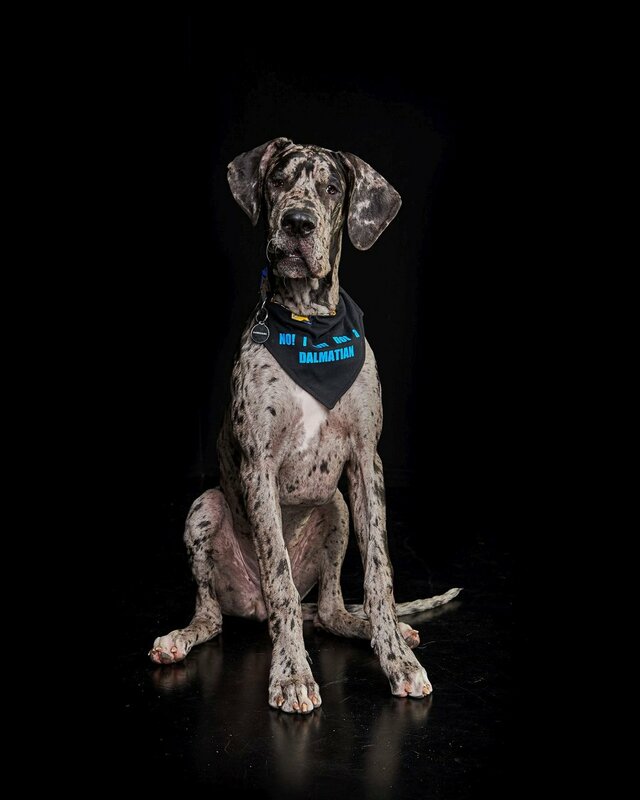 This handsome fella was a natural in our indoor studio, posing like a Calvin Klein model with his rather funny collar stating “No, I am not a Dalmatian” –I guess one could get a little confused. 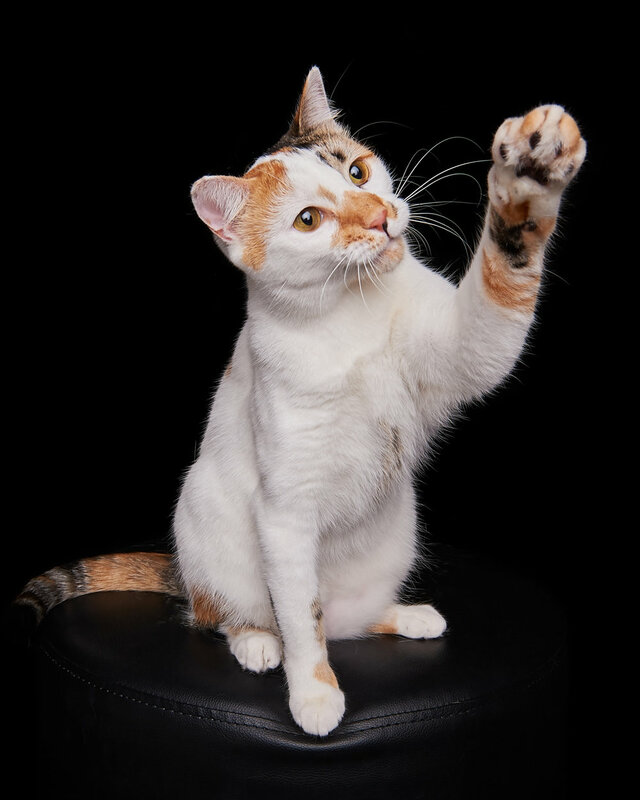 Emma had never had her Fur-Baby Professionally Photographed and she was so happy with the end result. Walking out the door with a smile on her face and a masterpiece in her hands. I got my first pet when I was 5 years old. I remember how excited I was to have this cute little ball of fluff as my new best friend and imagined all the great adventures we would share. My first kitten was pitch black with huge green eyes and for some reason I thought it was a great idea to name him Rambo. Rambo did not disappoint. He lived up to his name and was by far the craziest cat ever! Hiding behind walls and jumping out to surprise me, nibbling on my ears while watching TV and randomly jumping sideways were some of the hilarious things he would do. He was absolutely gorgeous. Every animal is so different and special. Some are gentle and placid while others are a bit crazy and wild. 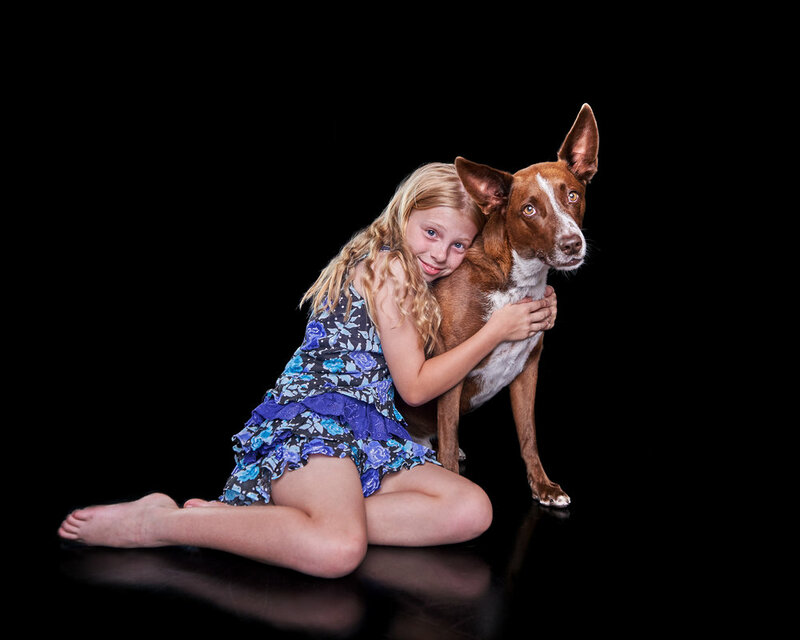 Your pets uniqueness is something that can be captured on camera by our talented professional pet photographers and having these photos for a lifetime will preserve these memories and take you back on some great adventures. Great Stories that can be shared for a lifetime. Every photo comes with a story, after all, a picture is worth a thousand words. People have their children, weddings and other special occasions professionally photographed all the time. Why not have your precious fur baby photographed? After all they are a big part of our family and lives. These photos can be shared for years to come with family, friends, children and grandchildren. I bet there will be great stories that come with photographing your fur baby. I absolutely love adding photographs of animals as a feature piece in certain areas of the house. The opportunity to have your pet featured in the artwork adds a personal touch to your Wall Art. Why not fill your walls with great canvas pieces of your animals instead of adding a random stock image of a horse or dog. Here at Four paws, we have an absolutely stunning setting on 5 acres as well as a large, state-of-the-art indoor studio. Our award winning professional pet photographers can add an individual and extra special quality to your photos to match any style of furniture or setting. Having a statement piece in your house that brings out your style and personality as well as your pet's individuality and special quirks is something that we are really proud of. Wall Art. Showcase your best images in stunning detail. 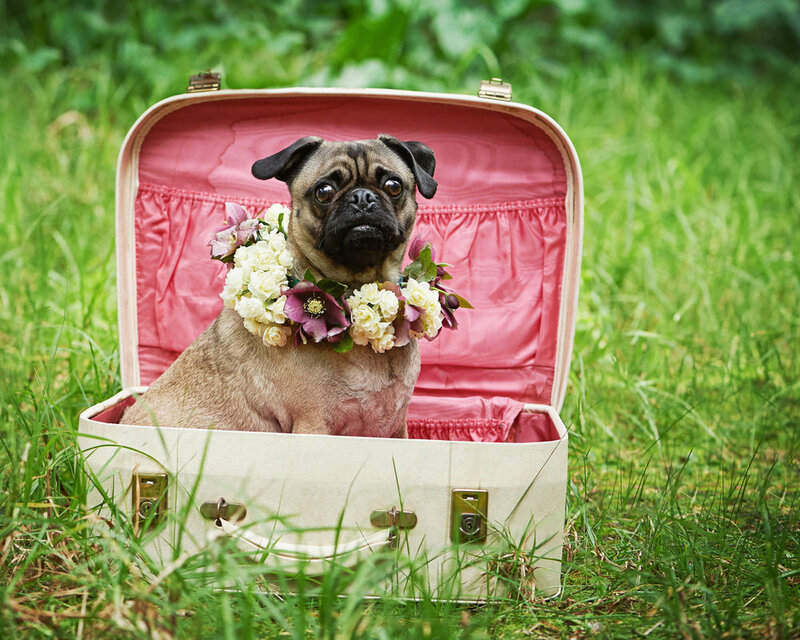 Some things are just too cute, little Lola the pug is exactly that, so cute!!! One of Daniela's friends made Lola a beautiful flower crown that truly brought all the photos to the next level of stunning. Lola was so adorable that Tom the assistant even felt bad for commanding such a small dog to stay sitting, but it created the perfect shot of Lola in between Daniela and Sam's legs. Daniela and Sam are just as cute as Lola, with these two love bird's personalities complimenting each others perfectly. 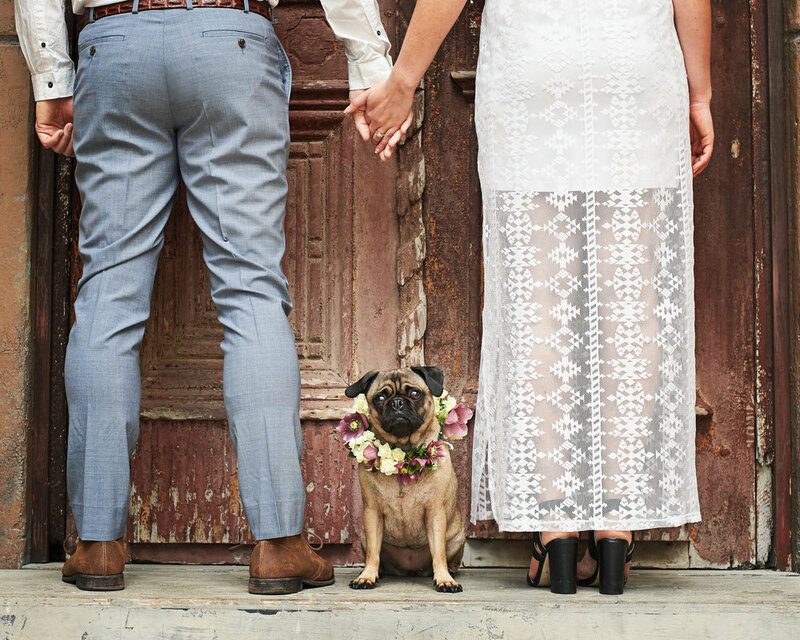 Sam and Daniela are even planning of using the gorgeous shot of Lola sitting in front of our Perth Studio's Egyptian doors as their wedding's save the date, which would be gorgeous! All the best for the wedding Daniela and Sam, it was so nice meeting both of you and Lola 😊 and a true honour to photograph this special time in your lives. Woah! What an awesome shoot! 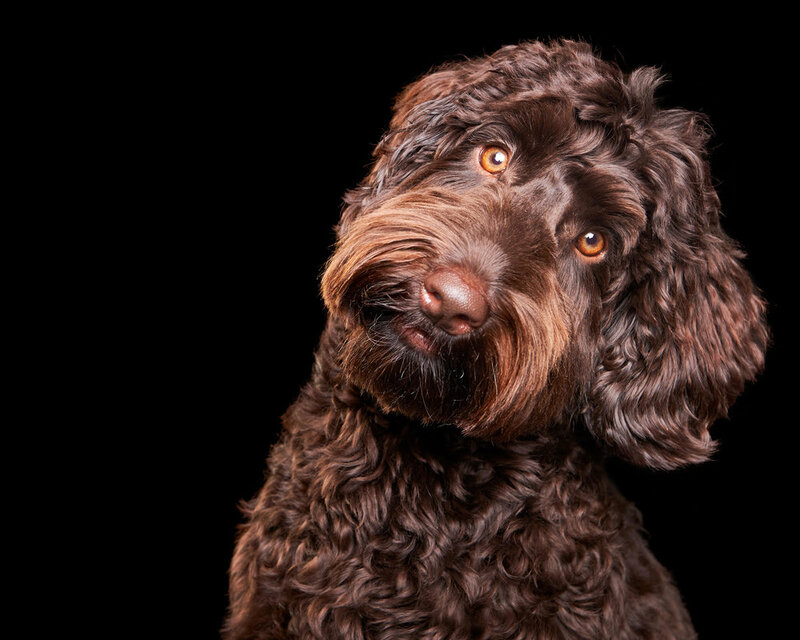 We have a lot of amazing dogs come through our Perth Photography Studio, but Rigaletto has to be one of the biggest dogs we have seen throughout our many years of photographing pets. Rigaletto is a 75kg Mastiff, which are known to grow up to the weight of a whopping 100kg 😲! The pictures truly can't capture how huge Rigaletto is, but one thing we were able to capture is his calm temperament. He is such a placid and calm-natured animal, occasionally during the shoot he would just have a lay down in our lovely green grass of the 5 acre outdoor studio. 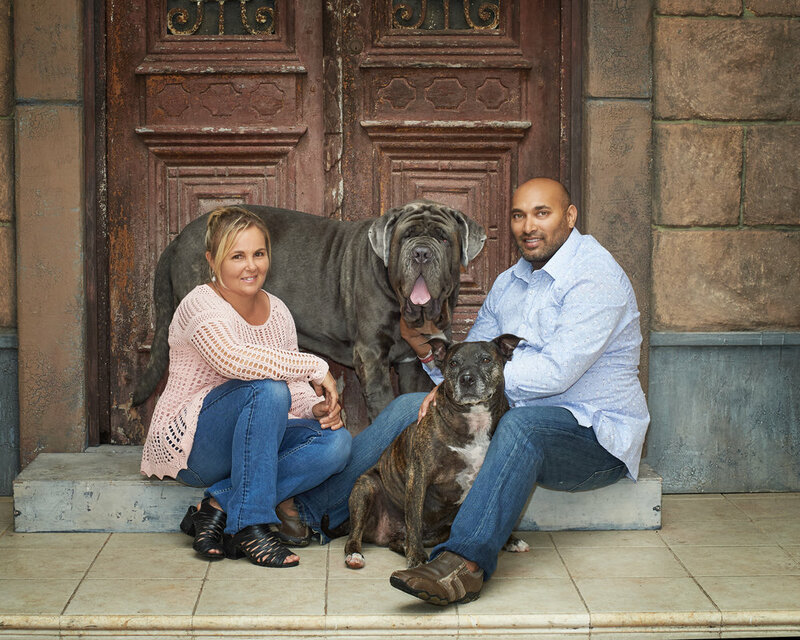 Regaletto's owner, Leah, actually used to breed Mastiffs, meaning Regaletto was extremely well trained and made for a great model, especially for being such a huge dog he was happy to pose where needed. What a fun shoot! 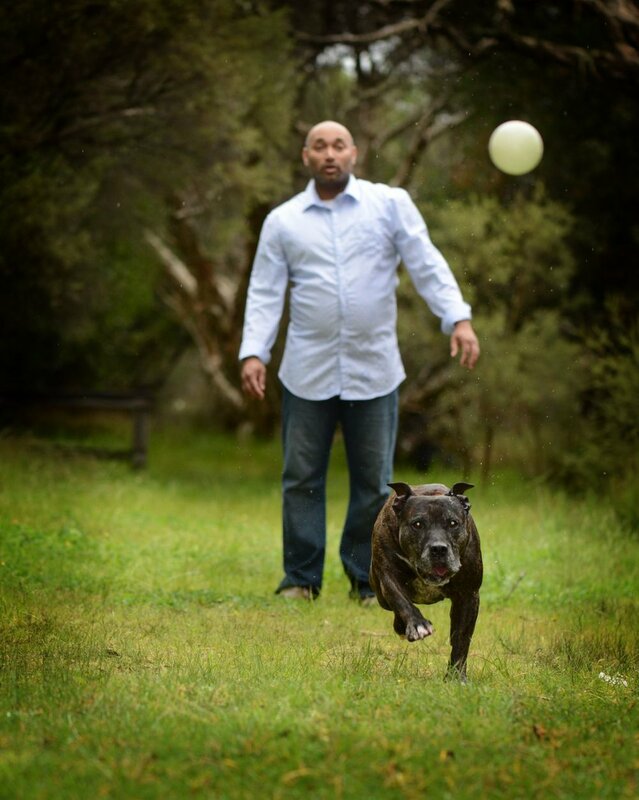 Axel, the American Staffy, looks big and tough although he is also an absolute goof making for a very enjoyable shoot. Axel is extremely ball orientated loving to run around fetching his ball, meaning that Jane the photographer was sneaky holding the ball near the lens to get his attention although sometimes the excitement would get too much and axel would come sprinting over to give kisses to the ball and often Jane stood in the firing line. The ball made for a great interaction shot between Axel and Craig- holding the ball up for Axel to jump for, highlighting his pure excitement and love for his toys. One thing Axel loves more than fetching balls and toys is mingling with other dogs. This social butterfly displayed his social abilities throughout the whole photo shoot not being scared to introduce himself to Jane and her assistant Tom with cute little Axel walking through the studio seeing what he could discover. Craig and Tioni absolutely adore Axel and I can totally understand why after seeing his cute and goofy face. It is clear that they love their fur baby and he definitely loves them. Thanks for allowing us to capture the love between you all at our 5 acre Perth outdoor pet photography studio, it was a true honour. This is Paddington, a one year old Labrador crossed poodle mixed with a huge amount of cuteness. You know how you have those people who you just enjoy being around, Paddington is essentially the dog equivalent. 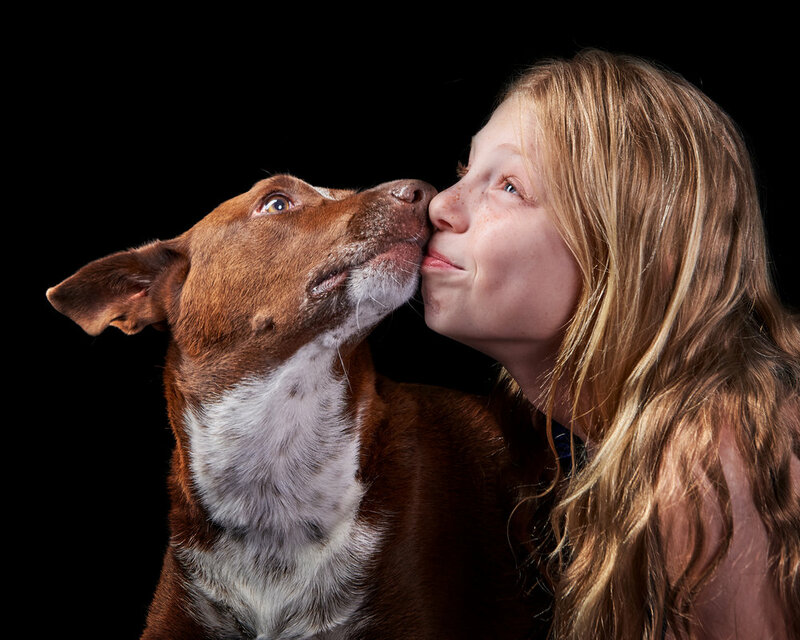 Ever since the minute Paddington cheerfully walked into our 5 acre outdoor Perth studio, he showed his friendliness not being afraid to have a cuddle, with Jane the photographer recieving a few during the shoot. Apparently it wasn't just because of Jane's huge love and skill with dogs, but Paddington's owner Tanita, says that he gets along with pretty much anyone. Paddington absolutely flourished when he got a hold of his precious duck and cow squeaky toys, but a definite favourite was the stretchy rope, making for some awesome interactive photos. These to partners in crime visited our Perth Studio, making for some lovely photos in our outdoor studio. 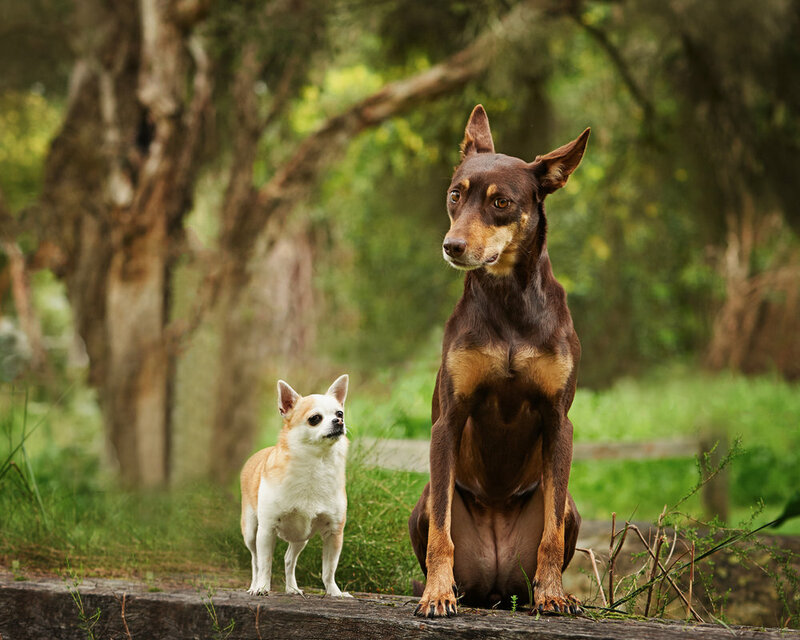 Despite the noticeable size difference, with Ally- the gorgeous red kelpy towering over Lily- the cute little chihuahua, these two make great friends. Both were a bit shy, but once they warmed up, we managed to get some terrific photographs. 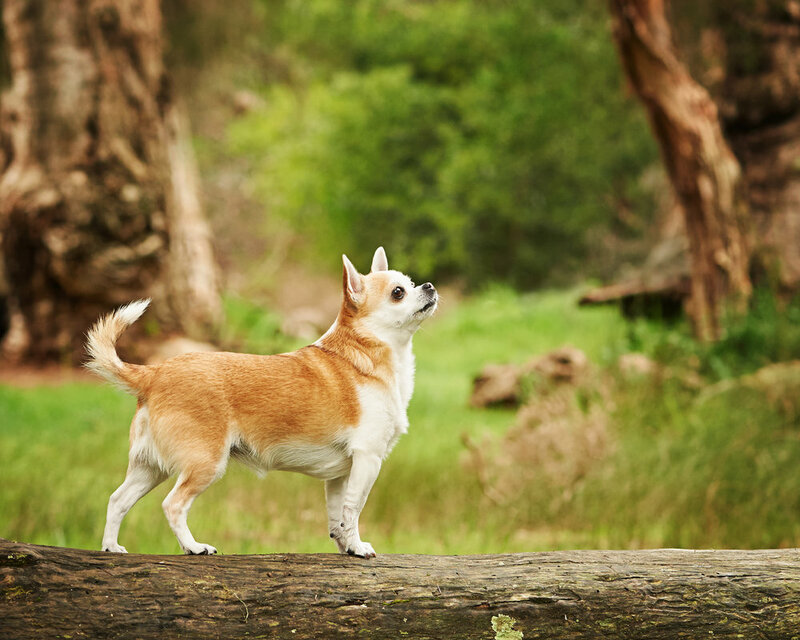 It was evident that Lily was very much mummy's girl, getting scared of little things, but that didn't stop her from being playful, bouncing around behind Ally as they ran through our gorgeous scenery, and even strutting her looks on the log. Ally is a rescue dog who has a very interactive and friendly nature, becoming very intrigued by the bush-land surroundings and keen to sniff the new area out. Thanks Sophie for bringing these two in, we managed to get some lovely photos, with a favourite definitely being Ally running through the grass.